In 2017, the Student Radio Conference will return to Leicester to be hosted by De Montfort University’s DemonFM. The event is hosted in a different place each year, but was last in Leicester on the De Montfort University Leicester (DMU) campus in 2013. 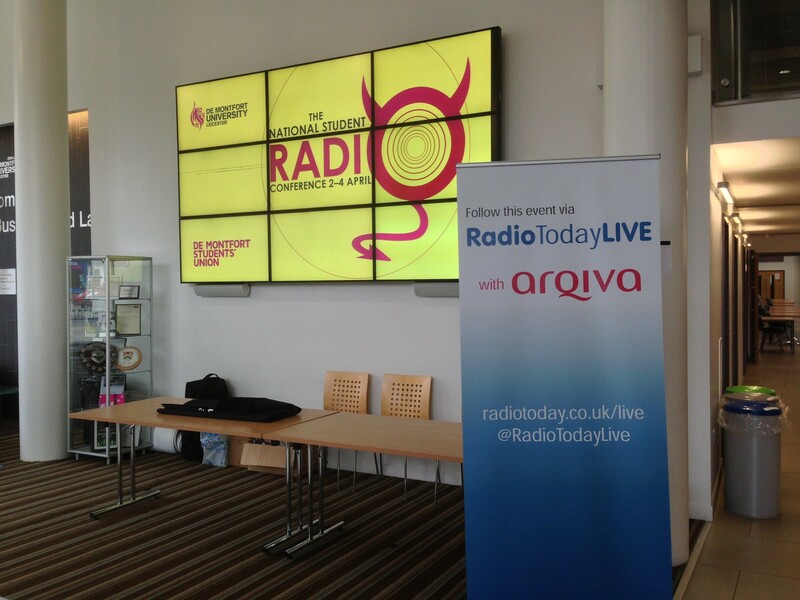 The conference in April sees hundreds of budding radio presenters and producers from student radio stations across the UK come together for sessions from some of the biggest names in radio. Speakers at last year’s conference, hosted by Xpress Radio at Cardiff University, included Radio 1 presenters Nick Grimshaw and Greg James, Radio X producers Pippa Taylor and Dave Masterman, comedian and BBC Radio Wales host Rhod Gilbert and LBC presenter Ian Collins to name but a few. Mike Mayes, VP Media and Communications at DSU, said: “I’m incredibly excited that DMU has been chosen to host the SRA Conference in 2017. Each year student radio stations around the country bid to host the conference and this year we’re very happy to have been selected. We’ve got a long heritage of supporting student media here at DMU with our radio station stretching back 21 years and a student paper having been produced since before then.